Posted by Marcus Roberts, Chief Executive and Andrew Brown, Director of Policy Influence and Engagement. What is the distinction between ‘disinvesting’ and ‘simply disinvesting’? The question arises as an official review of drug and alcohol commissioning intentions, published by Public Health England (PHE) and the Association of Directors of Public Health (ADPH) concludes that ‘there is little intention to simply disinvest in services’, and ‘if anything, there seems to be an element of trying to protect levels of investment while improving services’. The review was based on structured interviews between PHE Centres and Directors of Public Health, with input from DrugScope based on our State of the Sector 2013 (SOS 2013) survey. Does the review suggest that there will be disinvestment in the sense that less money is or will be available for treatment services than before? 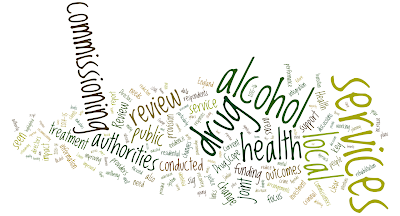 2013-14 is described as a ‘year of steady state for drug and alcohol commissioning’. Seventy per cent of Directors of Public Health are not planning to reduce funding in the current financial year (2014-15) ... but a substantial minority of local areas are experiencing cuts. Over a third of respondents (48 councils) planned to reduce or change funding within the two financial years 2014-15 and 2015-16, and 12 councils planned reductions in both these years. Looking ahead, 42% had not made a decision about 2015-16, and of those that had 17% planned a reduction in funding. There were also indications that patterns of investment are shifting as 'alcohol is assessed as the greater need'. SOS 2013 highlighted a concern that joint strategic needs assessments (JSNAs) tend to focus on population level harms rather than services for those with acute and entrenched problems, which could be one factor in bringing alcohol issues into sharper focus. It is noted that commissioning arrangements for young people are mixed, with some respondents identifying 'little need for alcohol and drug services for young people'. Finally, it is reported that residential rehabilitation, which has been largely funded by community care budgets, is being more tightly managed, with 'a significant number of respondents ... looking at stricter criteria for residential rehabilitation, and ... looking to more community-based rehabilitation and abstinence services'. This said, only 6% of respondents indicated that funding for residential services would reduce. So, less money is available in a number of areas, creating significant funding challenges for providers. In what sense did the review find 'little intention to simply disinvest in services? The key point is that DoPHs were felt to appreciate the value of drug and alcohol services locally and that they remain a priority. ‘It was clear’, the review comments, ‘that drug and alcohol services were valued, but needed, as with all local provision, to justify … investment in terms of outcomes achieved’, with ‘an element of trying to protect levels of investment while improving services’. The challenge is to combine improved efficiency and improved outcomes – or, put more colloquially, ‘the same for less’, ‘more for the same’ or ‘more for less’. This is not unsurprising given the economic challenges and constraints. 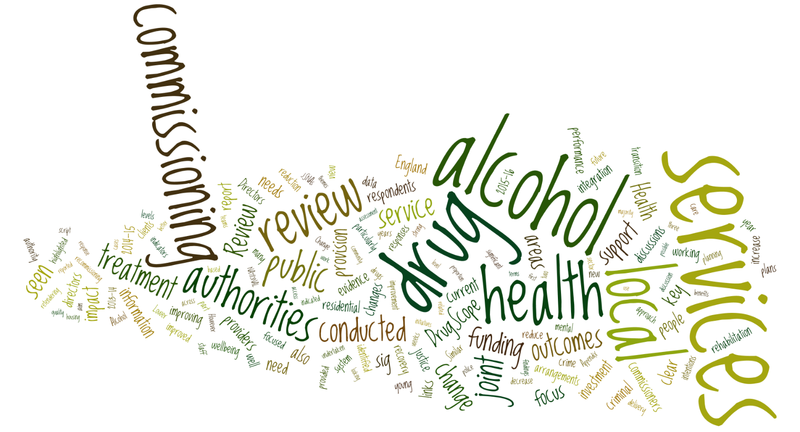 The review comments that 'all respondents stressed the significant financial pressures they were under and the potential impact this was having on all services', with respondents saying that 'ensuring the sustainability of drug and alcohol services' is 'one of the biggest challenges that they face', and highlighting 'uncertainties over resources: particularly future funding and the potential impact of removing the public health ring-fenced grant'. In addition, the review highlights some promising ways in which reduced costs could combine with (and even help to drive) quality and outcomes for service users – in particular, the potential for ‘whole system approaches’ to bring together services in a way that supports joined up working with service users (as promoted by DrugScope in our work with the Making Every Adult Matter coalition, for example). The focus is on ‘integrating drug and alcohol services, and integrating them with other services, such as housing, criminal justice and young people’, with ‘a clear interest in discussing mental health and dual diagnosis’. Potentially, this could help to address the problems that SoS 2013 identified in accessing ‘recovery capital’, including housing support, health and mental health services and education, training and employment. The review also talks about a ‘sector-led improvement process’, which seems to be about pushing back on the sector to innovate and collaborate to improve delivery and efficiency. There is also recognition of the challenges of developing services in a period of system change and a particular issue about the impact of short commissioning cycles – a concern highlighted by providers in SoS 2013. Fifty per cent of councils were intending to re-commission services, of which 60% planned to re-tender in 2014-15 and 40% in 2015-16. The review broadly confirms the experience of many DrugScope members. Money is tight and there is a need for adaptability and resilience. There is a recognition of opportunities too. Karen Biggs, CEO at Phoenix Futures comments in SoS 2013 on the sector’s history of ‘delivering and developing innovative models that don’t cost much’. There is also frustration with short commissioning cycles. In SoS 2013, John Jolly, CEO of Blenheim CDP, commented that ‘money should fundamentally go on serving people, but as a result of a continuous process of re-commissioning the reality is that I have to spend the organisation’s money winning the right to do that’. Above all, there is the anxiety that as the local constraints on funding become ever tighter, this is bound to impact access and quality of service. Since the review was conducted the public health budget for 2015-16 has been announced – while it is constant in cash terms this equates to a real terms reduction. No public health ring-fencing is guaranteed beyond that point, with local authorities looking at ongoing cuts in their budgets, creating intense pressures on all council services. PHE and Department of Health are currently consulting on plans for a health premium, that would be worth a total of £5 million across England, with ‘successful completion of drug treatment’ proposed as the national indicator, which would be paired with a local indicator. Leaving aside considerations of the likely impact and effectiveness of a premium, the development of a proposal to incentivise local investment in drug treatment is an acknowledgment of the risks to investment, with government actively considering additional protections in the light of the findings of the commissioning review. A key question will be what monitoring activity PHE and government will be conducting going forward, and how the specific impact of funding and commissioning changes on quality and outcomes will be tracked and assessed. DrugScope is conducting State of the Sector 2014, and will be working with the sector to ‘hold a mirror up’ to policy makers.